Chances are that you're already familiar with the LunaTik and TikTok watch band conversion kits for the iPod Nano that have made everyone lust over Apple's tiny Multi-Touch iPod. 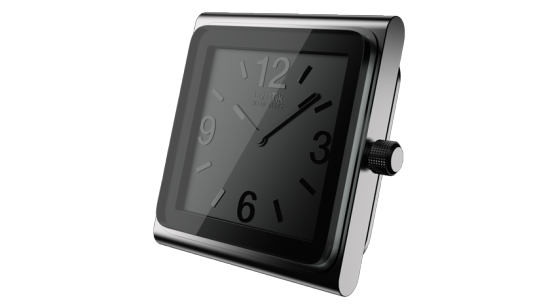 Up until recently, Minimal has been making quality watch bands for the iPod Nano until it decided to make its own clock dubbed the AnTik. But this time it isn't digital. The Antik is an analog clock module with a 2-hand Quarz movement and designed as a iPod Nano clone. Why? Because Minimal wants it to fit in all of its existing LunaTik and TikTok watch band accessories. The best part of all is that the AnTik is water-resistant for up to 30 meters. Minimal's creative yet more costly solution is swapping between your non-waterproof iPod Nano and the water-resistant AnTik when needed. The best of both worlds? We'll call it the costly way of doing things for the time being. The AnTik does look sharp there's no denying that. It's also designed with quality in mind just like all of Minimal's products. The AnTik is made with machined aluminum casing with a satin finish with a knurl textured, stainless steel adjustment crown and finished off with a hardened mineral crystal watch face. 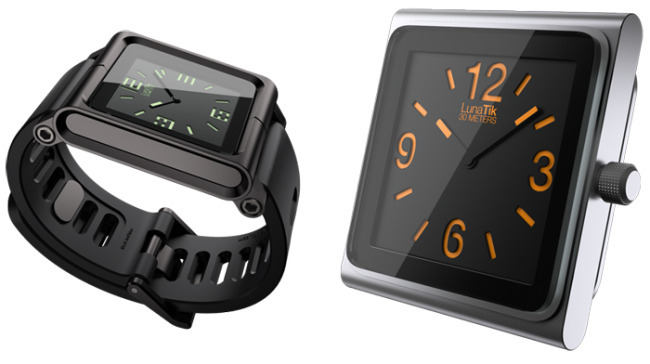 We're a bit disappointed to see no efforts being made to create a waterproof LunaTik and TikTok watch bands to be used with the iPod Nano. There is however a rather ugly alternative for a waterproof iPod Nano watch band like the Proof. Don't get your hopes high just yet though, the AnTik is only a solid concept for now with no release date nor price announced just yet. We'll be sure to let you know once more details are released.